Samsung has announced the pricing for its 2011 Australian line-up of plasma, LCD and LED televisions. Most of these TVs will be released in April and May, although some models are already available. Read about Samsung's plans to stream video from its TVs to Galaxy Tab 10.1 tablets and Galaxy S II smartphones. 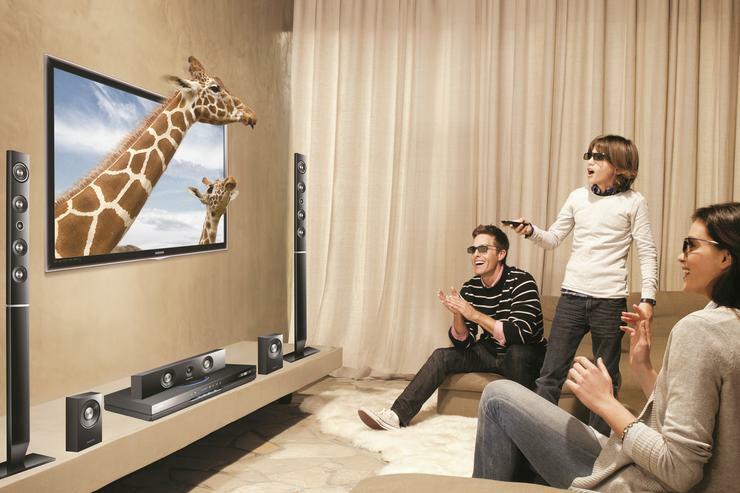 Look through our previews of Samsung's 2011 plasma and LED TVs. Samsung is releasing 25 LED TVs onto the Australian market in the next few months. Speaking at Samsung's product launch today, senior marketing manager, Lambro Skropidis, said that the company expects sales of LED TVs to eclipse LCD models over the next year. Spearheading the company's LED TV line-up is the Series 8 (8000), available in 55in and 60in sizes. The 55in model is $4699, while a price has yet to be confirmed for the 60in model. Samsung's 2011 Series 7 TVs are differentiated from the premium Series 8 with styling tweaks, but are less expensive with a $4099 55in and $3199 46in model. Series 6, Series 5 and Series 4 LED TVs will also be available throughout March, April and May. Ten 2011 plasma TV models are being released in Australia by Samsung — an increase from last year's eight. Plasma TVs are now available as part of Samsung's Series 8 plasma range, with three sizes available — the $4299 64in, $3499 59in and $2599 51in. No Series 7 plasma TVs are available, although 59in and 51in Series 6 plasmas are available for $2999 and $2099 respectively. Samsung's latest range of traditional CCFL-backlit LCD TVs is only being targeted to the budget market. Six models are available over Series 5 and Series 4 ranges, with the cheapest available a $199 19in Series 4 panel and the most expensive a $999 40in Series 5. An equivalent Series 40in Series 5 Samsung TV with LED backlighting costs $1199. All TVs in Samsung's Series 8, Series 7, some Series 6 and some of the Series 5 range can access Samsung's Smart TV service, which incorporates an applications library, social TV services via Facebook, Twitter and Google Talk, and a combined network and Internet media search function. Premium models also have Skype certification for use with an optional webcam, and a built-in Web browser with full functionality including HTML5. Full pricing for all Samsung TVs released in Australia in 2011 can be found below.